Even without trying, I end up being contrary! 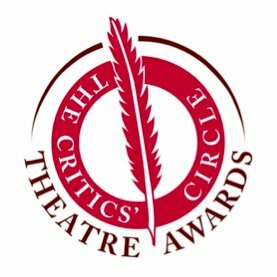 The Critics’ Circle Awards have announced their winners for 2016 and as I cast my eyes down the list, I was amused to see that their best new play and best musical were shows that I did not hugely enjoy (The Flick and Groundhog Day) and their best actor pick – Stephen Dillane – was another that did not register with me at all. After that, things chime a little better with me, with Billie Piper’s excoriating work in Yerma, which is returning this summer, and Glenda Jackson’s extraordinary Lear (whatever you thought of the production, her production was a stonking return to the stage) both being recognised. And deservedly, the creatives behind Harry Potter and the Cursed Child gain just as much recognition, if not more, as its cast. Lovely to see Charlene James getting a nod too for Cuttin’ It as most promising playwright.